The 800RV Constant Bead Rotary Dispensing Valve is designed to deliver a uniform bead dimension, irrespective of any air pressure build-up at the opening of the valve and at the start of the bead. This neutralizing pressure feature ensures a perfect bead with a clean cut-off of the material at the end of the bead path. Suitable for medium to high viscosity materials such as silicones, RTVs, sealants, and greases. 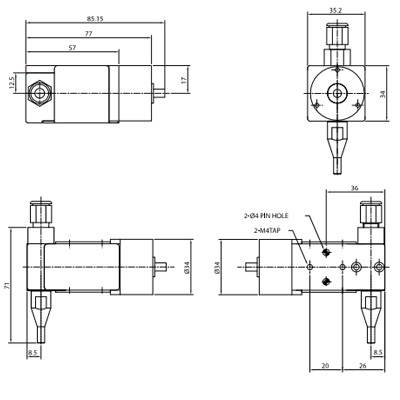 The valve is available as model 800RV-LL with a Luer lock fluid outlet and as 800RV-N with 1/4” NPT fluid outlet. 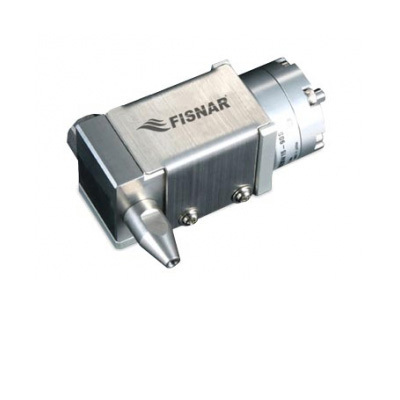 The 800RV is a two-stage pressure isolation valve. Applying a minimum of 60 psi to the air inlet will cause the valve to open and dispense the material. The valve is controlled by a 4-way valve controller – VC1195N, which will control the opening and closing of the valve.